The addition of polymers to bitumen allows the modification of certain physical properties, such as softening point, brittleness and ductility, of the bitumen. Polymer modified bitumen: Properties and characterisation provides a valuable and in-depth coverage of the science and technology of polymer modified bitumen. After an initial introduction to bitumen and polymer modified bitumen, the book is divided into two parts. Chapters in part one focus on the preparation and properties of a range of polymer modified bitumen, including polymer bitumen emulsions, modification of bitumen with poly (urethanes), waste rubber and plastic and polypropylene fibres. 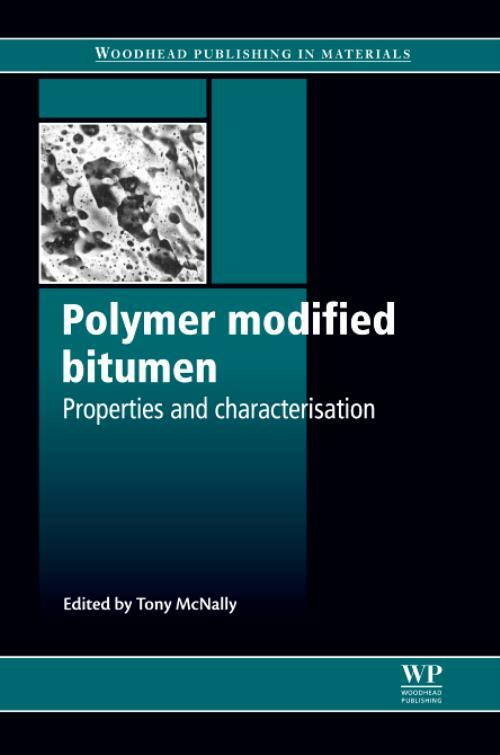 Part two addresses the characterisation and properties of polymer modified bitumen. Chapter topics covered include rheology, simulated and actual long term ageing studies; the solubility of bituminous binders in fuels and the use of Fourier transform infrared spectroscopy to study ageing/oxidation of polymer modified bitumen. Polymer modified bitumen is an essential reference for scientists and engineers, from both academia and the civil engineering and transport industries, interested in the properties and characterisation of polymer modified bitumen. McNally, TonyTony McNally is a Faculty Member in the School of Mechanical and Aerospace Engineering at Queen's University Belfast, UK. He is a Fellow of the Royal Society of Chemistry (FRSC).